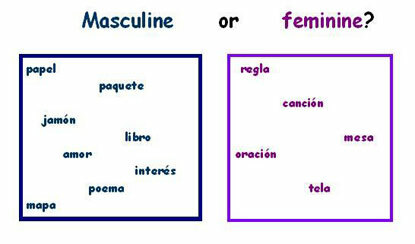 Unlike in English, all nouns have a grammatical gender in Spanish; they are either masculine or feminine. As a student, you most likely know that as you learn a new noun, you must learn its gender as well because the words related to it (e.g., articles and adjectives) may have different spellings depending on its gender. If you've found it difficult to memorize the gender of some nouns, you may want to try the following strategy.